Product prices and availability are accurate as of 2019-04-22 03:45:18 EDT and are subject to change. Any price and availability information displayed on http://www.amazon.com/ at the time of purchase will apply to the purchase of this product. 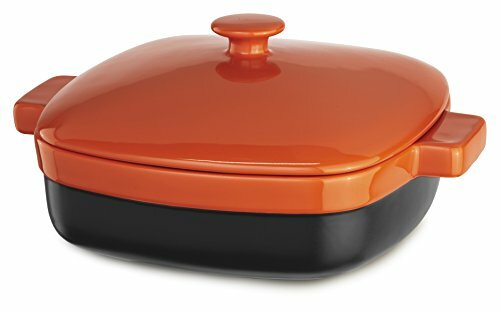 This attractive contemporary-styled casserole retains heat longer than standard bakeware. 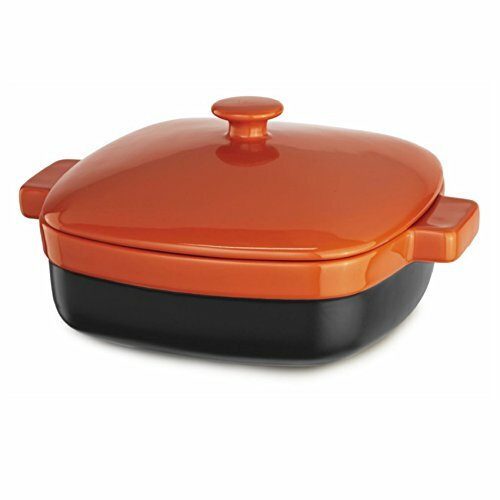 Ideal for lasagna, noodle casseroles, shepherd's pie, or ragout. It's freezer and microwave safe and won't absorb oils, odors, or sauces. Also resists staining, chipping, and cracking or crazing.